My friend Miriam Sheerin of BuildYourOwnWindTurbine.com is scheduled to feature on the TG4 programme “Garraí Glás” at 8pm tonight. If you’re at all interested in a project like the turbike (or even a normal ‘turbine’) then I’d highly recommend going on a course with either Miriam & Jimmy or Hugh Piggott himself. Also want to let you know I plan to put up a FAQ page soon on this site. So drop me your questions to the ‘[email protected]’ address and I’ll try and work them in. This entry was posted in Blog, Others on May 1, 2012 by Sean Callagy. the bike stand sometimes being pulled upwards and back toward the turbine. Building a frame and using clamps to help keep the bike stand in place, and bolting and bracing the turbine into that frame, seem to have resolved those two project-killing issues. So finally I can produce electricity in relative comfort! (Note: motion sensitive people should watch with caution – hand-turning a pedal to get over 12.5 volts is hard work, so my camera arm wobbles a lot!). The last (hopefully!) 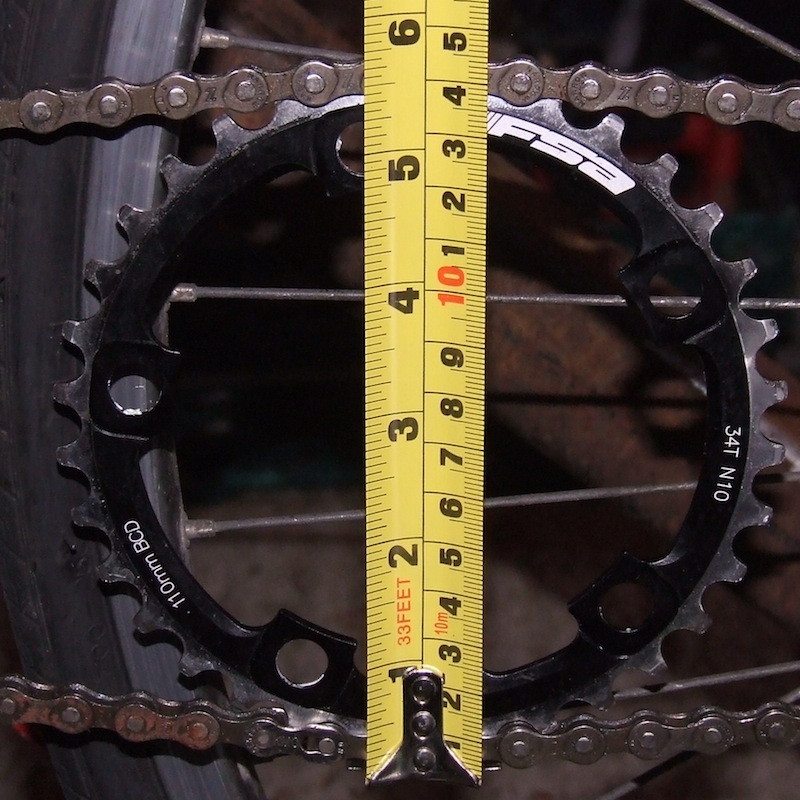 major issue left is that of the chain skipping / jumping a cog or two when pedaling at 13.4 / 13.5 volts. Probably at least two contributing factors here. the wobble in the face of the turbine means the cogs aren’t keeping to one plane while they rotate (although how to address that without stripping the whole thing down and shaving off some of the rotor’s steel face beats me!). I’ve not quite managed to get the face of the turbine parallel with the chain going to the bike. Fixing that might mean altering the new frame and bracing arrangement <sigh>. Of course in the video you might notice the chain appears very slack – and wonder why I don’t tighten it. The simple answer is that, with two links already taken out, tightening it any more will make it too rigid by far. Even moving it onto a bigger cog to take up some slack makes it far too tense. It wouldn’t last long given the forces at work here. Of course the real answer is to start all over again and build a frame that allows for micro-adjustment of the distances and angles between bike and turbine… but affording the raw materials and time to do that would take a decent lotto win! So I have to hope that I can resolve the chain problem another way. This entry was posted in Bike Stand, Blog, Design, Turbine on April 3, 2012 by Sean Callagy.